Developments in truck safety — such as automatic braking and lane departure warning systems — can prevent up to 63,000 truck crashes per year. 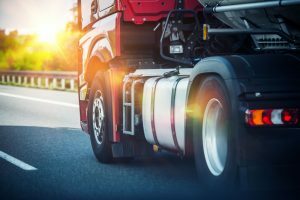 The AAA Foundation for Traffic Safety now recommends that all large trucks, both existing and new, get equipped with four (4) types of safety technologies to dramatically reduce truck crashes and resulting injuries in death. The report is entitled “Leverage Large: Technology and Engineering to Realize Safety Gains”. The report recommends: in-cab video cameras and sensors to monitor a truck driver’s behavior and performance; automatic emergency braking; air disc brakes; and lane departure warning systems. Administration previously concluded that the benefits of lane departure warning systems outweigh their costs. The AAA Foundation for Traffic Safety is a not-for-profit charitable research and educational organization. AAA was established in 1947 to promote traffic safety and reduce collisions, injuries, and deaths related to collisions.